Indonesia’s accelerating economic prosperity will see the country poised to take a leading role in the Indo-Pacific region. It’s time for Australia to refocus its Indonesia priorities. Indonesia has long been a country of systemic importance in Asia. Yet for much of its history, it has kept a lower regional profile than its status and position would imply. This trajectory is now beginning to change. As democratic institutions consolidate, the country has increasingly acquired the capacity to more actively engage in regional initiatives. Consistent and high-speed growth promises to make Indonesia the engine that drives economic growth in Asia. At the same time, the very notion of what constitutes Asia is changing, with the older “Asia-Pacific” model giving way to a geographically-expanded “Indo-Pacific” concept. On 12 September, the Perth USAsia Centre has launched a special report on Indonesia’s regional engagement in the Indo‐Pacific era. The special report examines Indonesia’s plans for regional engagement, in tandem with future goals and possibilities for itself and the Indo‐Pacific. Featuring a mix of Australian and Indonesian authors, it provides diverse perspectives and state‐of‐the‐art insights into one of the most important developments in the contemporary Indo‐Pacific. 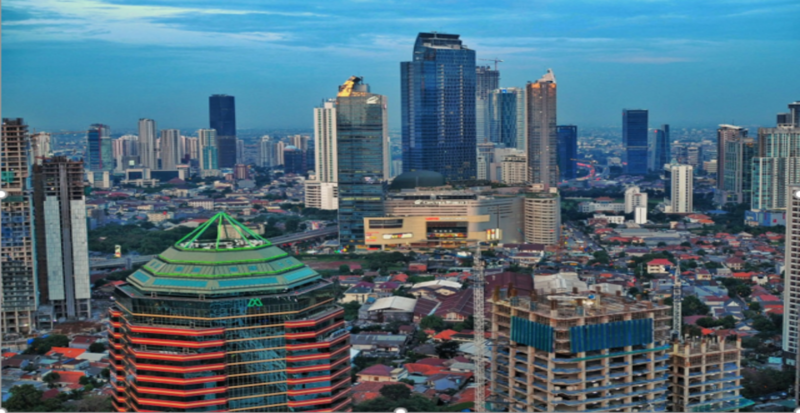 Historically regarded as one of Asia’s more “developing” nations, Indonesia is emerging as a formidable regional powerhouse. It is already the world’s 16th largest economy, with potential to emerge as one of the top five by 2050. As Faris Al-Fadhat argues, the relationship between private firms and the state has been defined such that business interests play a major role in shaping national economic policy goals. As Indonesian businesses expand and look globally for an economic “adventure”, so too must the state liberalise and re-orient itself to a regional perspective. Historically, Indonesia’s protectionist policies have hindered economic liberalisation and the development of global and regional value chains. As Matthew Busch explains, amid assertive resource-nationalist policies in the mining sector, foreign businesses have struggled to compete. The Indonesian government’s wariness has prompted several instances of withholding mine permits, which has generated doubts about foreign firms’ efficiency in Indonesia. Indonesia clearly possesses a certain independence in its pursuit for economic prosperity. However, as Poppy Winanti explains, Indonesia is an active member in 35 trade agreements, with a healthy combination of regional, multilateral and bilateral relationships. A recent expansion in its free trade agreements is also occurring, with emphasis on the active pursuit of Indonesia’s economic goals. This is indicative of a longer-term process of transformation in Indonesian economic policy, towards a more open and engaged outlook. Given its size, economic dynamism and central location at the confluence of the Indian and Pacific oceans, Indonesia is a critical player in the emerging Indo-Pacific region. The report identifies the significance of understanding Indonesia’s regional value chains as a vehicle for projecting the Indonesian economy and by extension its political sphere. As Indonesian businesses have looked to global expansion, so too has the state. 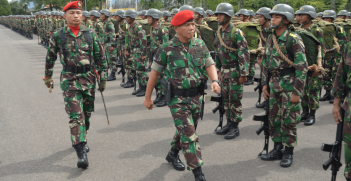 Since then, Indonesia’s rapid engagement with the Indo‐Pacific region has been significant. An augmentation of maritime security with an emphasis on ASEAN mechanisms, in partnership with economic developments such as efforts to enhance trade and investment flows, outlines Indonesia’s strategic and economic motivations for engaging with the region. As outlined by Natalie Sambhi, Indonesia’s engagement with the region has buttressed its strategic engagement with India. 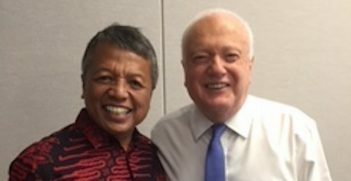 As two formidable members of the Indo‐Pacific with some shared political and social heritages, the manifestation of this partnership is significant, albeit late. There are strong strategic rationales for this regional engagement, as Indonesia’s motivation to shape regional norms grows with its size and impact. 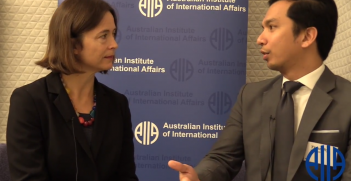 In this vein, the AIIA’s Melissa Conley Tyler, Evan Keeble and Ellisa Kosadi consider MIKTA – the grouping of Mexico, Indonesia, Korea, Turkey and Australia – as an avenue for Australia‐Indonesia cooperation. Indonesia’s regional focus is not perfectly aligned with MIKTA’s goals. However, this chapter examines the significance of Indonesia’s regional focus as paramount and provides possibilities for Australia to re-orient its Indonesia focus to accommodate regional norms. One of the principal questions of the report is to understand how Australia fits in Indonesia’s regional engagement. Recent developments in the Indonesia-Australia Comprehensive Economic Partnership Agreement (IA-CEPA) are significant. IA-CEPA is a further development under the ASEAN-Australia-New Zealand Free Trade Agreement (AANZFTA). IA-CEPA is set to improve conditions for service suppliers. reduce or completely eliminate tariffs on exported goods and improve the climate for two-way investment. Prime Minister Morrison’s commitment to complete the deal by Christmas emphasises the importance of Indonesia within the Indo‐Pacific. Australia’s position in both of the region’s “mega-regional” free trade agreements offer possibilities to enhance involvement with Indonesia’s regional engagement. Advocating for Indonesia to become a member of the Trans-Pacific Partnership, and a push to conclude negotiations on the Regional Comprehensive Economic Partnership (RCEP), would help bind the two countries into a new regional trade architecture. New infrastructure initiatives within the region such as the China-Led Asian Infrastructure Investment Bank (AIIB) and the Japan-led Partnership for Quality Infrastructure (PQI) offer opportunities for collaborative efforts between Australia and Indonesia. Ensuring capital is directed towards the infrastructure needed to deepen trade relations and potentially achieve future global investment. The Perth USAsia Centre’s report “Expanding Horizons: Indonesia’s Regional Engagement in the Indo‐Pacific Era” highlights the need to appreciate Indonesia’s historical and contemporary economic and political context. It contributes to better understanding of these factors amongst policy makers and businesses, in order to achieve a longer‐term understanding of Indonesia’s effects both regionally and globally. Going forward, the report offers a handbook for navigating the unprecedented high‐speed growth that has established Indonesia as a formidable economic player within the region. Isabelle Lewis is an intern at the Perth USAsia Centre. She is currently completing her undergraduate degree in political science and international relations at the University of Western Australia.